November 2, 2015: WorldLoop is proud to announce a bi-lateral partnership with STIBAT and BEBAT, the Dutch and Belgian battery collection organisations. As with many e-waste fractions, portable batteries are one common component found within most electronic devices that are not easily disassembled through manual and pre-processing techniques currently available in sub-Saharan Africa, As such, WorldLoop, together with some industry experts on battery collection and treatment are launching a three-year battery collection project in Kenya. This pilot project aims to highlight some of the financial, operational, and environmental aspects to a ‘best of 2 worlds’ strategy for batteries. In particular, the main focus will be on portable batteries from cell phones, laptops, and small household WEEE, especially Li-Ion, NiCd, NiMH, and Li-polymer, for a total target of 35 tonnes. 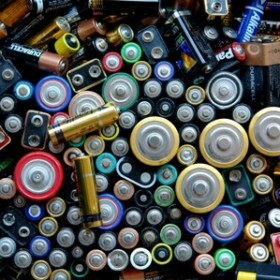 To date no sustainable collection and treatment activities focused on portable batteries are up and running in Kenya; the proposed project will thus actively support awareness raising, collection, sorting, and depollution activities at the local level in Kenya, managed by the WEEE Centre. The project will include technical training sessions between parties to transfer knowledge on safe collection, handling, storage and depollution techniques. With the facilitation of WorldLoop, the project will also organise shipments of the collected batteries for sustainable recycling in Belgium and the Netherlands, following all applicable legislation (e.g. Basel Convention, Kenyan export regulations, EU waste regulations). The pilot has set a collection target of 35 tonnes, this is expected to result in 2 shipments from Kenya to the EU. The project will end with a Pan-African workshop organised by WorldLoop and the WEEE Centre to discuss how EPR and the e-waste legislation currently under review in Kenya can facilitate long-lasting battery management, and disseminate the lessons learnt through this pilot project. These lessons learnt – amongst others on: collection strategies, EPR recommendations, financial analysis of end-recycling – will also be written down in a final report for further dissemination to stakeholders.